Enjoy rolling hills, open plains vistas, and grasslands habitats. 27-car spots, two handicapped spaces and three horse trailers (one with horse hitching rails). 20-person group shelter with picnic tables are available at the trailhead on first come, first served basis. 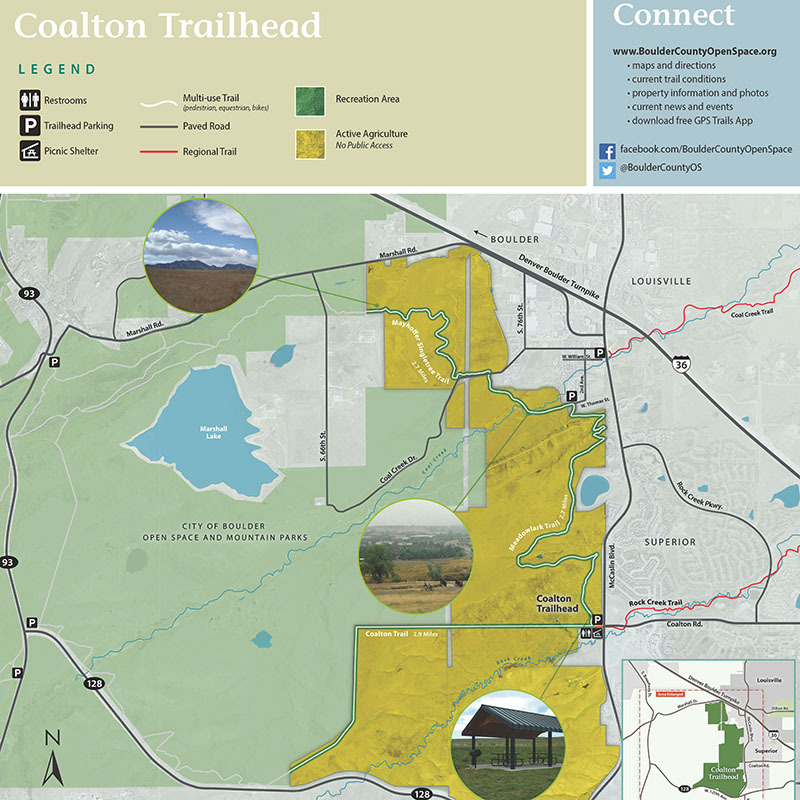 During the pilot period, e-bikes are allowed on the Meadowlark Trail (between Coalton Trailhead & Coal Creek) but are prohibited on the Coalton and Mayhoffer Singletree Trails. Learn more about e-bikes on open space. Pedestrians, bicyclists, equestrians and leashed dogs are allowed on the trails. The trails travel through active agricultural land, therefore no off-trail access is permitted. In the rain shadow of the Rocky Mountains, the Great Plains are dry, windy and expansive. Receiving small amounts of precipitation, the land is dominated by grasses. The scarcity of water prevents larger shrubs and trees from growing. However, the soils are rich thus allowing a wealth of smaller plants to thrive. These plants, in turn, support a variety of animal species. Temperatures on the plains fluctuate enormously from very cold winters to hot summers. Nevertheless unique plant and animal adaptations have allowed life to prosper in plains ecosystems. 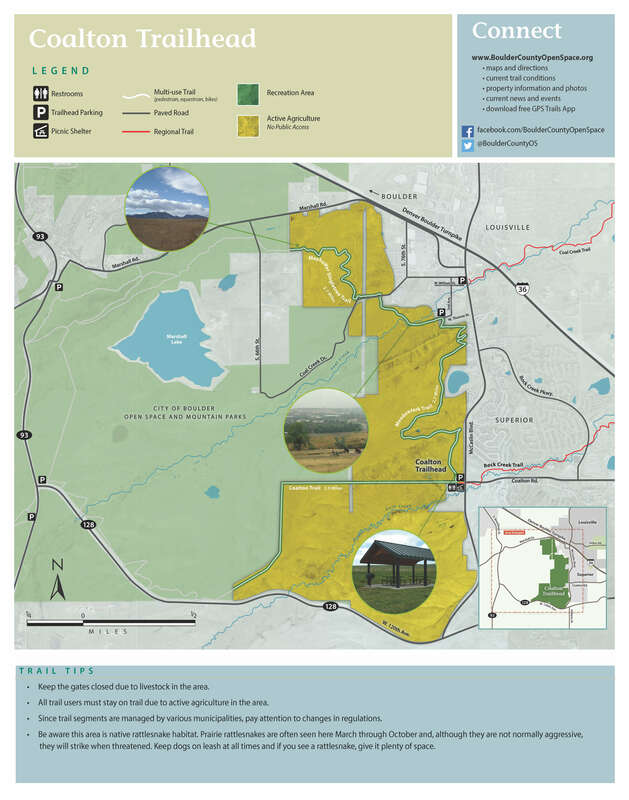 This loop, formed by Boulder County and City of Boulder trails, is the former route of the Morgul-Bismarck Loop of the Coors International Bicycle Classic from the 1980s and is commonly referred to as the Dirty Bismark Loop.